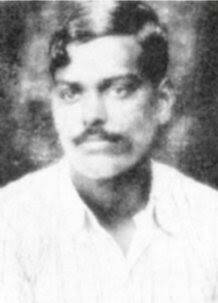 Chandrasekhar Azad Jayanti is a birth celebration of a great Indian independence fighter. He was one of the most famous Indian freedom fighter against British Rule. His full name was Chandrasekhar Sitaram Tivari but famous as the name of Chandrasekhar Azad among the people. He was born on 23rd of July 1906 and died on 27th February, 1931 at Allahabad. He was a good mentor of great freedom fighters of independence movement against the foreign rule In India. His name was honored as the name of Azad means the freedom. He spent his short but magical life for the freedom of great country India. So still he remembered in the history of India. Chandrasekhar Azad Jayanti is a celebration to know, understand and to remember the sacrifices he gave for India. This is a day which is celebrated with a glorious festival in India. Government of India organizes various programs during that time. Chandrasekhar Azad Jayanti celebrated each year and During year it will come on date of 23rd July as a birth celebration of this great personality of Indian freedom fighting against the british rule.